At the recently held &Privé Soirée, an IP of &PriveHD, Bollywood Actresses Dia Mirza and Swara Bhaskar along with National Film Award Winner Documentarian Anand Patwardhan introduced the film Weinstein: The Inside Story. A riveting discussion about a story which led to the #MeToo revolution in entertainment industry and how women are possibly worst to their own gender who experience sexual harassment. 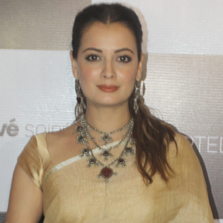 Dia Mirza says "I have been accused of all kinds of things, from being asexual to being unattractive, to being difficult, to everything. Every possible word has been used to describe my behaviour, but it never altered my idea of how I needed to conduct myself. The reason why #MeToo and #TimesUp has gathered momentum is because women recognized the power of supporting each other. I think more and more women who identify and support their own gender will help in changing the narrative. On being asked, about the right balance between the safety and freedom, Dia shared, "I think it is important to be responsible about your own safety and allow yourself to pursue what you want." Swara Bhaskar added, "Sometimes the whole onus of being safe falls on women in a way we become restrictive. And for me a way to do that is to claim and not back down. I will claim the spaces which are deemed unsafe in an intelligent way. I love this slogan, "women unite, take the night" Reminiscing the shoot days, Swara shared one of her experience about overcoming her fears, "When we were shooting, I saw this alley in Delhi on our last day of the shoot. I asked the director if we can take a shot of me walking down the road alone, and he could put wherever he want in the film and we were able to do it. The director placed it at the very end of the film, that is the aim we should have. Don't restrict yourself, go out wherever, just be intelligent. We have to claim and fight for our safety"
Aimed at building a community for like-minded cinephiles, who appreciate nuanced cinema, &Prive Soiree is an exclusive initiative by &Prive HD wherein hand-picked movie are screened, followed by a panel discussion in front of a live audience.